With a suitable design for up to 500lbs. 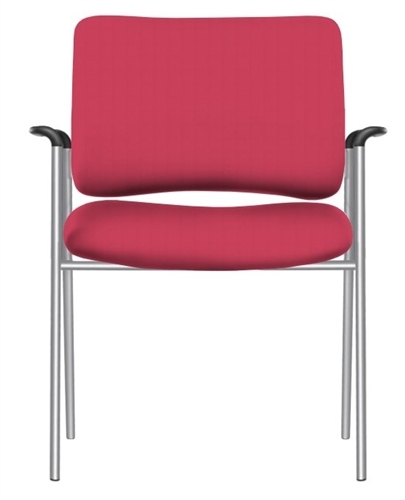 the Rainbow Wide chair provides durability with its double curve back, black frame and non-marring glides. Double curve back, black frame, black non-marring glides. Suitable for up to 500 lbs. 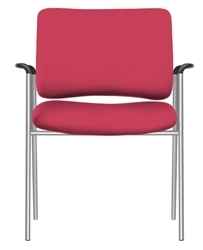 Dimensions Overall (WA): 34"H, 26.75"W, 26"D. Seat 20"H, 22"W, 21.5"D. Back 14"H, 22"W.
200+ textiles to choose from. COM – 1.5 yards. WARRANTY: 10 year comprehensive parts and labor, with weight limit of 500 lbs.